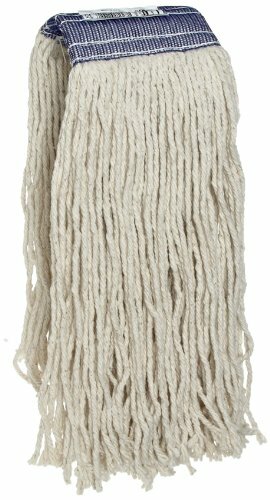 Rubbermaid Commercial FGF15700WH00 Premium Cut-End Cotton Mop, 20-ounce, 5-inch Headband. Economical, 4-ply cut-end mop. LEED-point qualified. For general purpose cleaning. 1 inch long by 1 inch wide by 1 inch high. 1.333 pounds. Made in the USA. 1 inch long by 1 inch wide by 1 inch high. 1.333 pounds. Made in the USA. Rubbermaid Commercial HYGEN Economy Wet Mopping Pad, Microfiber, 18", Blue - Includes 12 per case.